Just a quick update on sensor modules. I’ve prepared two out of four sensor modules with enclosures and sensors attached. 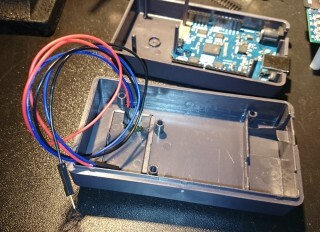 See below for photos, but general idea is simple – sensor on the outside, attached by a drop of glue from a glue gun, Arduino 101 inside connected by standard male-to-female cables. 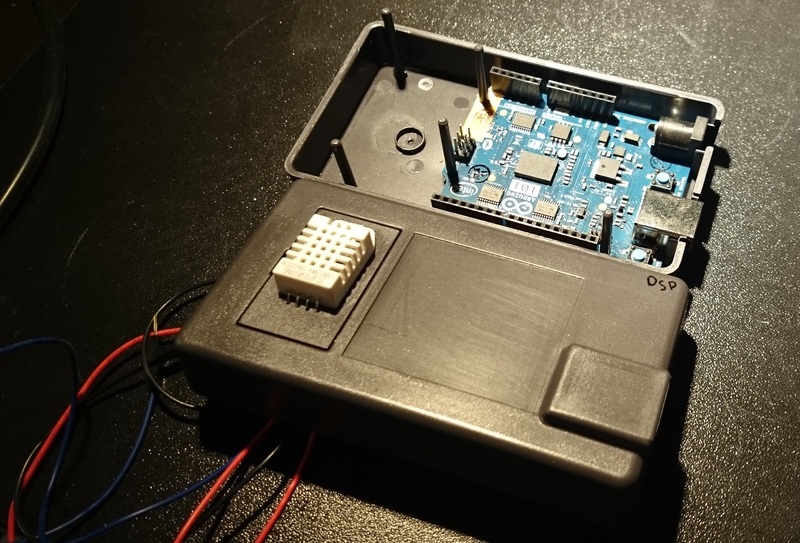 I had to solder pins extracted from a single row male pin header to DHT-22’s pins, otherwise they were too short on the underside, other than that that was an easy task. The enclosures are really nice and 101s fit there nicely, leaving some space should I need to add something. 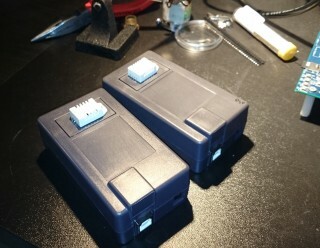 These are Arduino original enclosures produced by arduino.org.